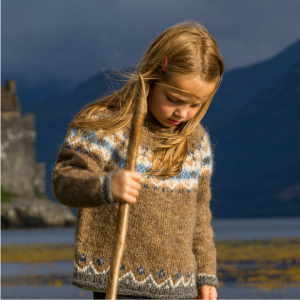 I’ve been knitting my own designs for a few years now, and last Winter I started writing a series of children’s patterns which would become my first collection. 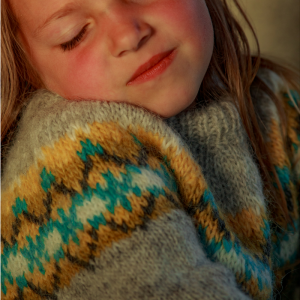 These four Icelandic sweaters are now available as kits in my shop, and producing the patterns for them was one of the most rewarding things I’ve done. I love the simple logic of yoked sweater construction – the seamless design, the added warmth just where it’s needed, provided by stranded colourwork which is so satisfying to knit. 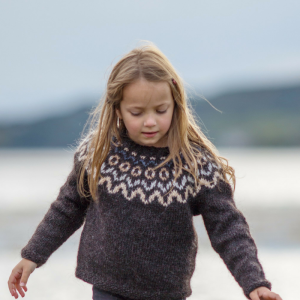 It was the endless possibilities of colour and pattern that really made me fall in love with the knitting traditions of Northern Europe, and the iconic Lopapeysa design could keep me happily occupied from now on. However, although I’m now working on resizing and redesigning my first collection, for adults, I have so many new ideas for experiments with colourwork and texture. . . I’m looking forward to my journey as a designer, and to keeping a record of it here.